Azure Knowledge Corporation is a prominent market research agency set up in New Jersey that primarily deals with market research solutions and global data collection. Backed by a leading global private firm, their team of knowledgeable industry professionals offers a range of services that include fieldwork, digital and data transformation. Azure Knowledge Corporation aims at servicing clients across the globe, with operational bases set up in Kenya, India and China along with coverage across the countries of Africa, Europe, Middle East, Asia and Latin America. Ever since their inception in 2001, they have conducted over 26 million surveys across the world thanks to their international team. Azure Knowledge Corporation had begun their journey in 2001 when they set up their first research center in the city of Ahmedabad. From there on, the company took their business further by inculcating new upgrades in technology to their business model along with the setup of multilingual teams for their European languages. 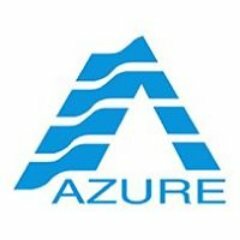 Azure Knowledge Corporation made their first move into international waters in 2005 by partnering up with UK’s largest IT research company. The company kept moving forward with their business, securing partnerships with other brands across the globe and expanding their network at the same time. They also bagged many accolades and awards along the way for their efforts and services. Even though Azure Knowledge Corporation had their business running at maximum capacity, they were in need of a website that acted as a reflection of the work they conducted. We partnered up with Goinit to redesign Azure Knowledge Corporation’s website exactly the way they wanted it. We created a website that reflected on the world class services that they offered, making it worthy of the attention they deserved. With the help of the new website, they were able to rope in a good amount of clients interested in their business.